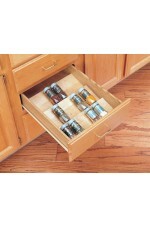 A smaller version of the ST50, this Individual Spice Drawer Insert is available in a 16" x 21-1/4"..
Keep spices conveniently stored in a drawer by the stove with Rev-A-Shelf’s Wood Classic Spice Dra..
Save space on the shelf by storing spices and canned goods on a Door Mount Spice Rack. 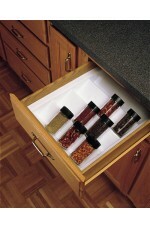 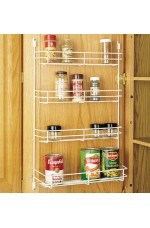 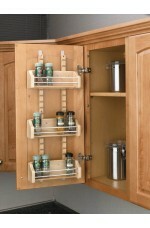 The 565 Ser..
Add space, flexibility and convenience with Rev-A-Shelf’s Adjustable Door Mount Spice Rack. 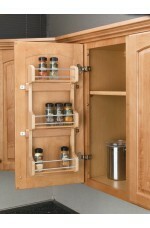 This b..